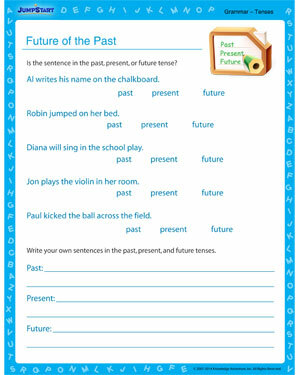 Help the little ones distinguish clearly between past, present, and future with our free grammar worksheet. After selecting the appropriate tense, children will have to write the complete sentences. Help the kids figure if they ‘were’ at the pool yesterday or they ‘are’ at the pool yesterday!